Stump Grinding Done Right in Sandy Springs GA With Chipper LLC Tree Service! 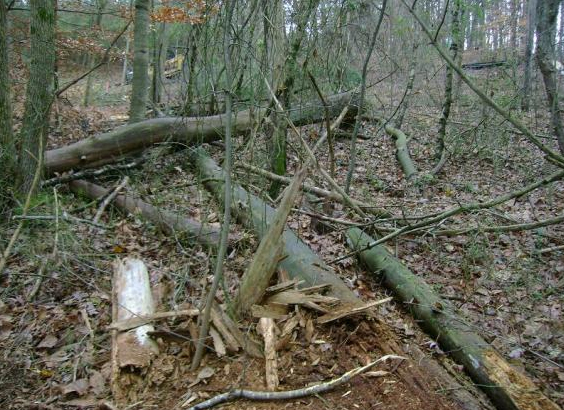 From small yard cleanup jobs done by hand to large land clearing jobs done with a loader, bulldozer or forestry mower, we can handle your cleanup or clearing needs. We can do lot clearing to prepare for house construction where we remove trees and the root ball, or tree removal and stump grinding. We are also an equipment rental yard and rent our Skid Steer mounted Concrete Jackhammer Attachment for $150 per day (24hrs) or $100 per 1/2 day (4hrs) if you have your own skid steer. 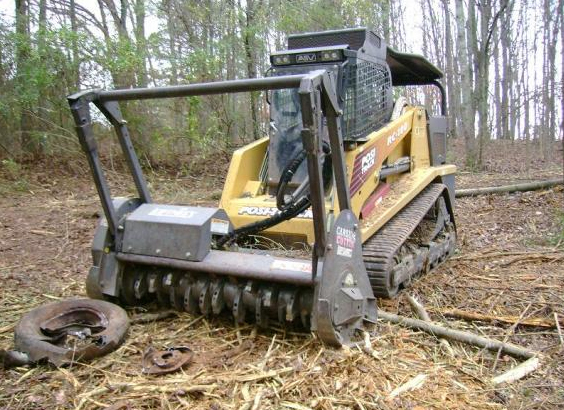 We can rent skid steers starting at $275/day for mid-size track skid steers. 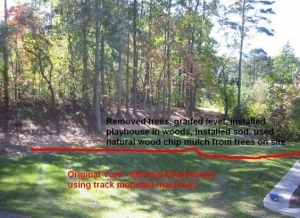 If you're considering stump grinding for your Sandy Springs GA home, don't hesitate to Contact us today to get your FREE estimate! We have over 10 years of experience, and don't plan on quitting any time soon! We'd love to change your yard into something beautiful!